Nothing is changing about how your information is processed but we have improved the way we describe our practices and explain the options you have to update, manage, export, and delete your data. We have carried out these updates to comply with the General Data Protection Regulation (GDPR) legislation which comes into force on 25th May 2018. 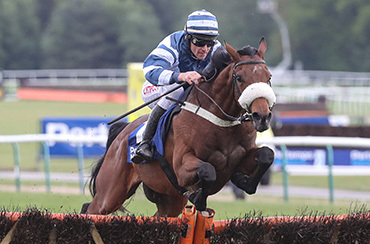 Henry Rix Racing/Rixbets (https://www.rixbets.com/) is recognised as a client service of the registered company Racing 4 Profit Ltd. and as such all matters in connection with, and in reference to Henry Rix Racing/Rixbets shall be dealt with by the company Racing 4 Profit Ltd. Racing 4 Profit Ltd. is the controller of the personal data you submit to us and responsible for your personal data under applicable data protection law. Incorporated under the Companies Acts (Registered No. 343 3953) and having a place of business at 115 Brunel Building, James watt Ave, Glasgow.G75 0QD. The data we collect is only that which is necessary to provide the required levels of service and security and the optimum user experience on our website www.rixbets.com. The data is used in the operation of our contracted services and promotional communications, of interest to our users, relating to the Henry Rix Racing / Rixbets service. Some of the data is provided directly by you, the user, by filling out our online forms and other data is obtained by the use of website technology such as cookies, statistical analysis or IP monitoring. We continually review the legal basis for processing all aspects of personal data and ensure that each basis is appropriate for the activity it relates to. We shall inform you if the legal basis for processing your data changes at any time. We work to ensure that we meet the data minimisation and storage limitation principles and that personal information is stored and deleted in a safe and secure manner and in compliance with current regulation. We carefully consider the personal data that we store, applying reasonable criteria, and we will not keep your information in a form which identifies you for longer than is necessary for the purposes set out in this policy notice. We only share your personal data with third parties/partners as necessary to complete any transaction or provide any service you have requested. We use only reputable and well established partners in order to process data on our behalf and to provide the required security, technical and administrative support (e.g. secure online payment provision, e-mail and SMS communication and secure database hosting). Any automated data transfer between parties is encrypted and carried out via secure link. Our website may at times include links to other web sites which do not come under our control and as such we cannot be held responsible for the operation of these web sites and external sources. Website SSL, data encryption, password access, authentication, Firewall protection, anti-malware and anti-virus systems. Data breach identifiers ensure that we have security measures in place to identify any personal data breach and report it to the relevant parties at the earliest opportunity. By using any of our services and providing us with personal data such as your email address, postal address or telephone number you consent to receive communication from us relating to the service Henry Rix Racing / Rixbets. We have updated our website to include opt-in mechanisms for marketing subscriptions. E-mail marketing materials will contain clear options for updating your preferences or opting out via unsubscribe link. SMS Text messages will include opt-out via reply function. Members of our subscription services can view and edit their personal data online – https://www.rixbets.com/members/ using their secure login details. However attention is drawn to the processing of data that is necessary to fulfil our contractual obligations for particular subscription services (i.e. mobile telephone number, e-mail address). When you subscribe to any Racing 4 Profit Ltd. service via the internet, your card details are protected with TLS 1.2, AES with 256 bit encryption (High); ECDH_P256 with 256 bit exchange and transmitted via secure server. Your card details are only used to process the transaction at the time of subscription and for your added security office staff will only able to see the last four digits of the card number, for use in identifying a particular transaction if necessary.